Today we’d like to introduce you to Dawn LaFontaine. Dawn, can you briefly walk us through your story – how you started and how you got to where you are today. The idea for Cat in the Box struck me on the most mundane of errands. I was accompanying my mother, who owns two cats and was about to leave on a trip, to drop her pets off with a cat sitter. The cat sitter’s home was lovely: she obviously cared a lot about the decor. But her living room, oddly, was strewn with old shipping cartons. I know she noticed me looking at them. “They’re for the cats,” she’d sheepishly explained to me. 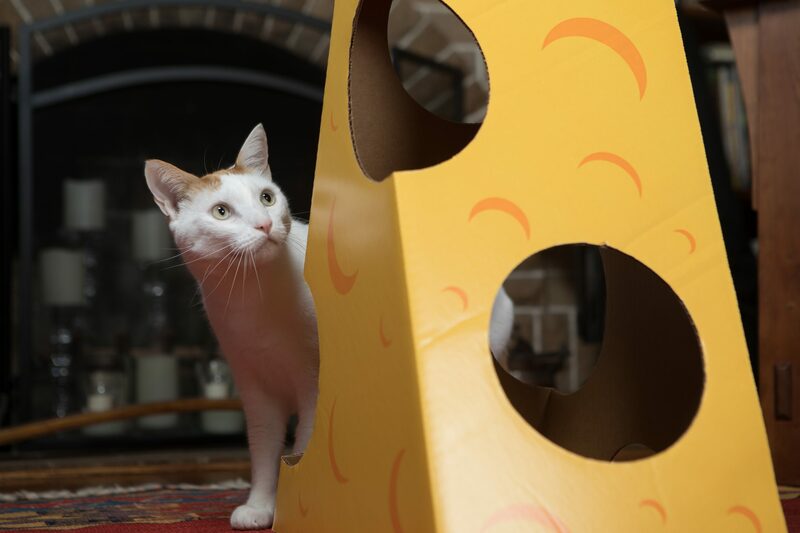 I know why cats like cardboard boxes — there’s real science behind this weird phenomenon (check out my website for all the details) — but why do people put up with dirty, ugly, shipping boxes in their home? 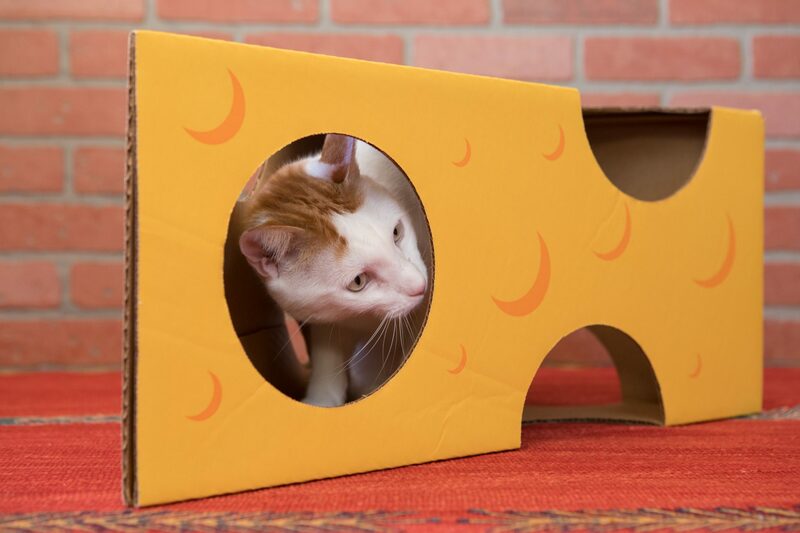 Why not cardboard boxes that are clean and cat-dedicated, and whimsical and fun for both people and animals? I also designed Cat in the Box boxes to disassemble so they can be folded flat for storage if needed. My biggest struggle is probably the struggle of every entrepreneur: how to wear all the hats. No one can be good at everything, and I’m certainly not. Everything has a learning curve, they’re all steep and you needed to know how to do them all yesterday. A good idea is one thing, and getting it manufactured is another, but once you have a product to sell there’s everything else: website design and SEO, accounting, shipping, social media, PR, and marketing, to name a few. I never knew how much I didn’t know until I started this business. Some small businesses start with really deep pockets and can hire the talent they need. I’m still a one-woman show. Alright – so let’s talk business. 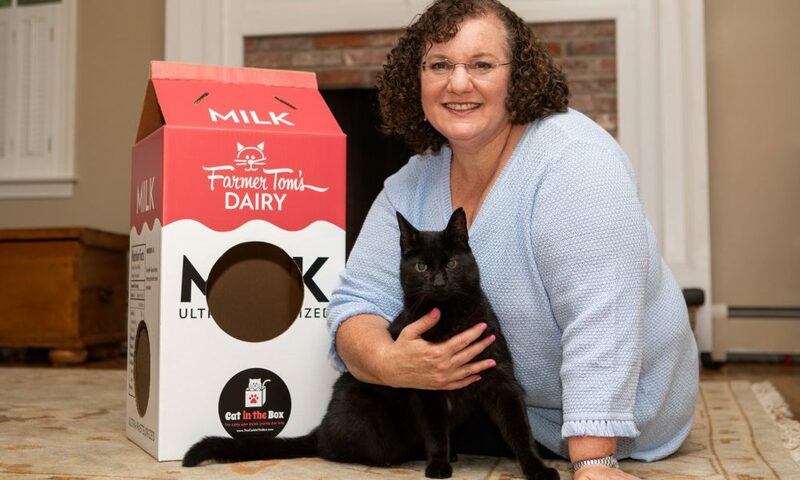 Tell us about Cat in the Box – what should we know? 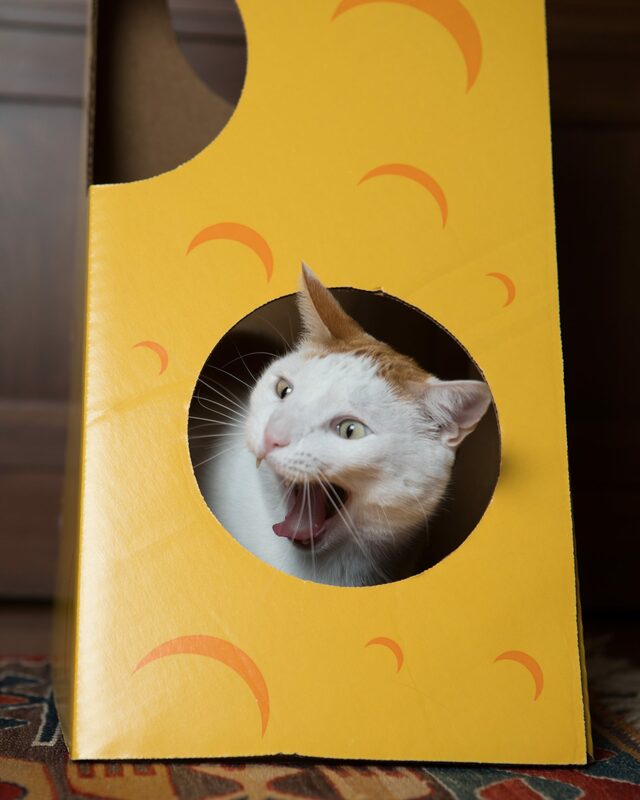 Cat in the Box sells whimsical cardboard box toys for cats. 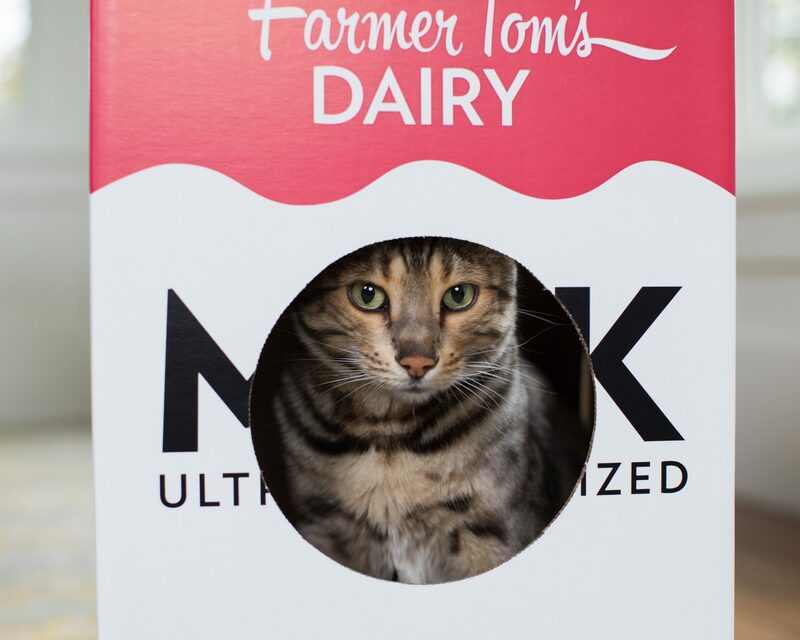 Our cardboard boxes are made from recycled materials and thus environmentally friendly, imprinted with human-grade soy-based inks, and manufactured here in the USA. 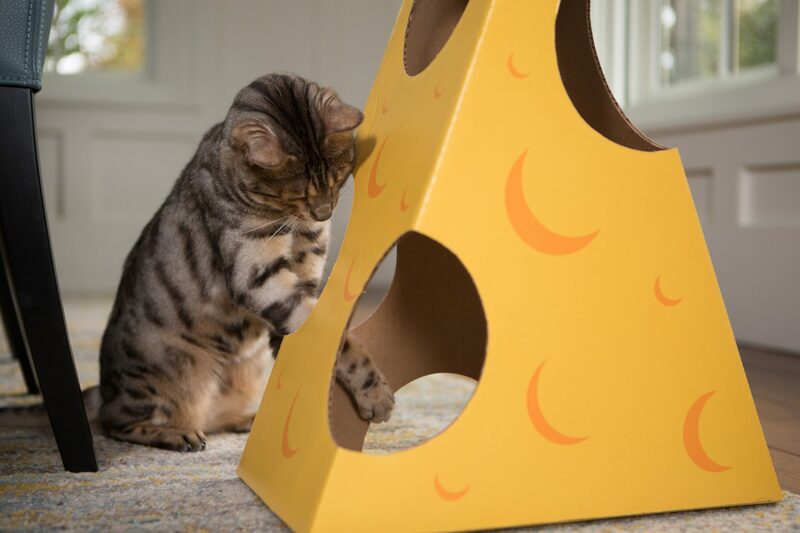 Pet stores seemed to be filled with cat toys of every type and design, but I have never come across a product like mine. And the thing is, cats truly love them! I Customers frequently send me pictures of their cats playing or resting in one of my boxes (check out my Instagram account), and nothing makes me happier. 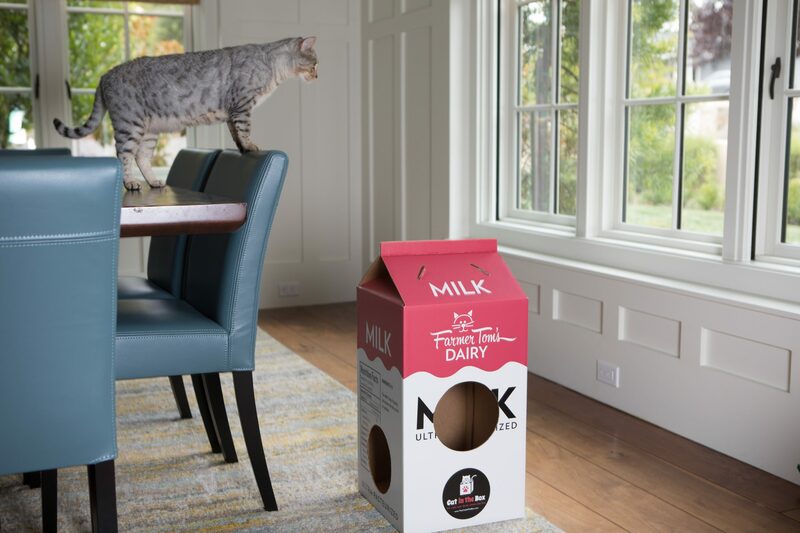 As a lifelong animal lover, it thrills me to imagine that something I designed is giving pleasure to so many cats and their owners. The most important driver of success in this kind of business, I believe, is a love of animals. Anyone who’s ever known me knows my house has always contained a menagerie of creatures: not only cats and dogs, but birds, gerbils, guinea pigs, hamsters, rats, fish, and even a snail. I have devoted myself to the rescue and care of living things and I have hopefully engrained this brand of compassion into my own children, who were also involved in these activities with me as they were growing up. You cannot succeed in a business like this one unless you’re thinking about animals and their owners, and what they would enjoy and use. What would enrich their lives? What would make their days easier and more pleasurable?